From serious Sazeracs to red beans and rice, Cajun classics are done right at this Queen Village homage to NOLA fare. 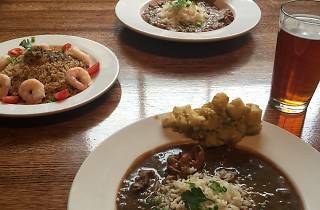 During brunch, Benedicts are accompanied by links of andouille sausage and sweet rice patties, grillades and grits topped with a tomato roux sauce and beignets dusted with copious amounts of powdered sugar. 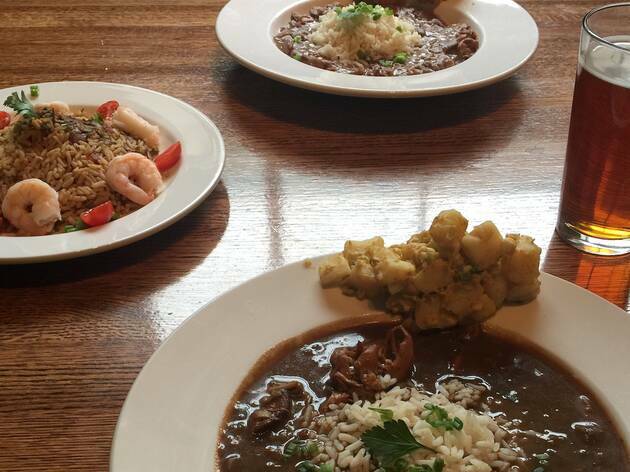 Swing by for happy hour, when bottles of Abita and bowls of gumbo go for $5.